Our favorite slide of the season, the Fluff Yeah is as good as it sounds, combining a slipper and sandal into one statement shoe. 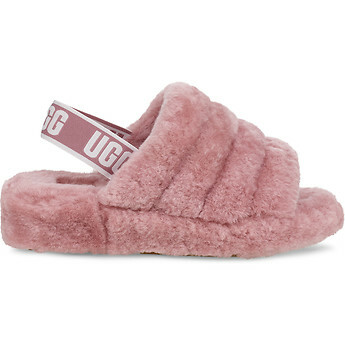 Soft sheepskin wraps everything while an elastic strap features bold UGG graphics inspired by Los Angeles street style. Perfect for everything from parties to days around town, this fun slide pairs well with midi dresses, jeans, and even slips on with socks for colder weather.